The first Mamma Mia! left us with a handful of questions. Questions like “Dear lord, who told Pierce Brosnan to do his own singing?” And, “Wow, did Meryl Streep just make overalls cool again?” (The answer to that last one is 100 percent yes.) But Mamma Mia! Here We Go Again is somehow even dumber and more absurd than the first film – but yes, still fun! – and raises loads of perplexing questions. Even within the fantasy world of movie musicals, the sequel makes no damn sense. Ol Parker’s film retcons events from the first movie, disregards multiple age inconsistencies, and follows a nonsensical timeline. 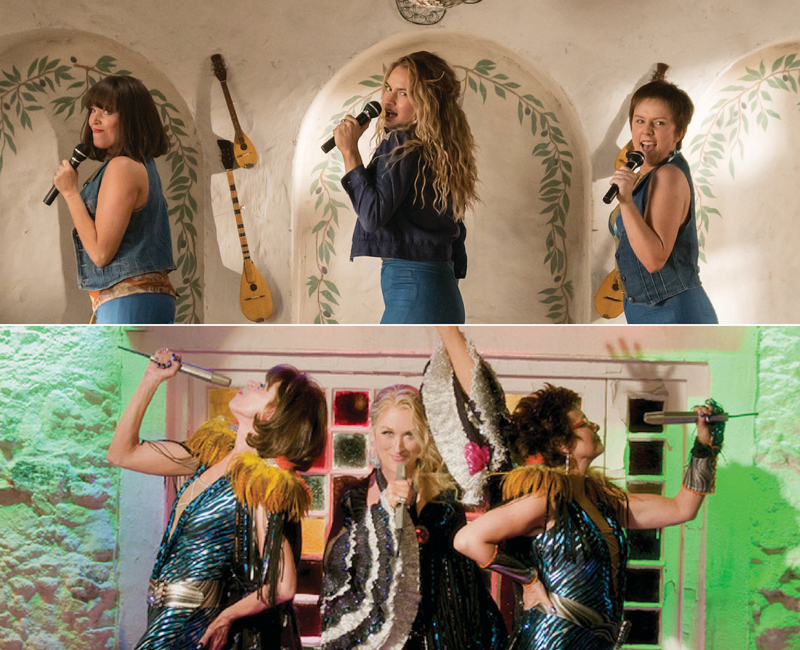 While you’d have to be a fool to ask these tacky movies to follow normal logic, I simply could’t resist (ha) cataloguing every illogical element in the Mamma Mia! sequel. So without further ado, have the time of your life and check out all the insanely stupid things I found in the new movie. And, spoiler alert, of course. Okay, this is the most obvious and talked about thing since the first trailer dropped, but I’m still not over it. 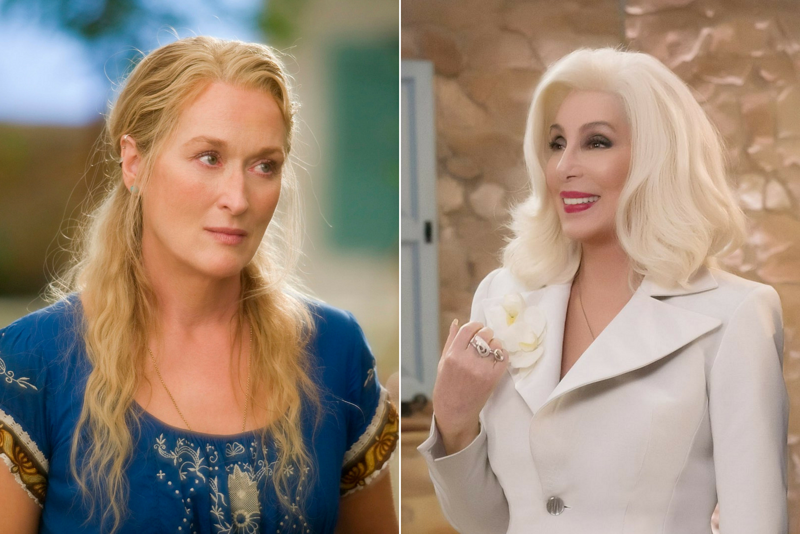 In Here We Go Again, Cher plays Ruby Sheridan, the mother of Meryl Streep’s Donna Sheridan. In real life, Cher is 72 years old. Streep is 69. How does that work, exactly? Oh, because Cher is immortal, of course. That’s the only logical explanation to the fact that Cher’s character was dead in the first Mamma Mia! In that film, as I’ve already broken down in Pulitzer-worthy detail, when Donna mentions her mother she points up towards heaven as Christine Baranski’s Tanya refers to her in the past tense. Yes, Ruby was dead and Ol Parker totally ignored it. We’re not done with weird parenting miracles just yet. 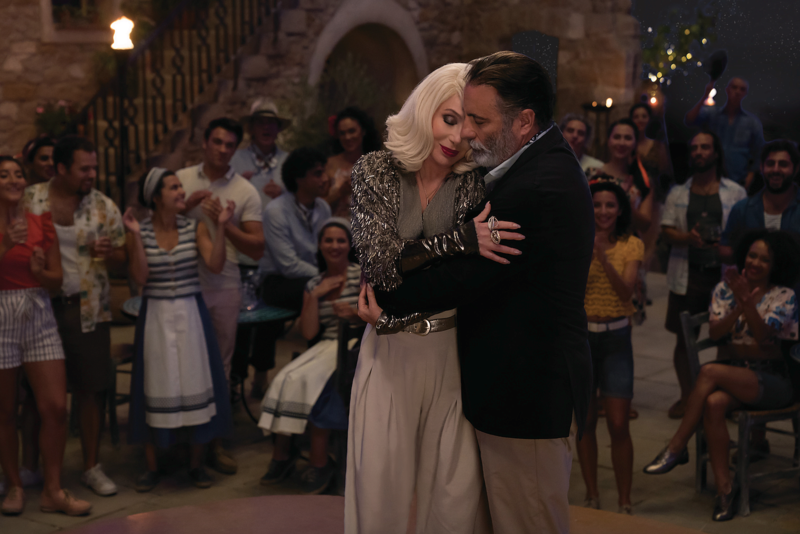 In the sequel, Andy Garcia plays Fernando, Ruby’s former flame who shares a duet with her in the film’s finale. Besides the impossible number of 360-degree fireworks going off in the background, the scene logically checks out. But wait! In an interview with Vulture, Garcia shared a piece of crucial information that changes everything. 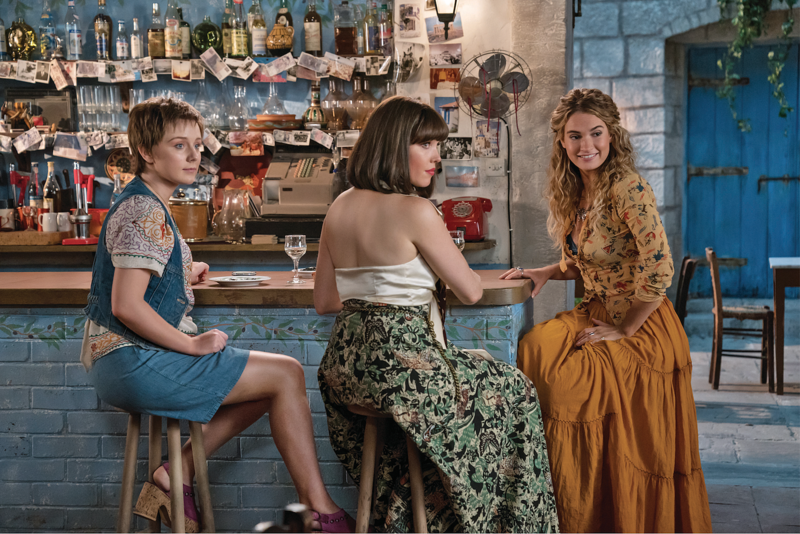 “There’s also the interesting anecdote that it’s possible that I may have been the father to Meryl and Lily,” Garcia said regarding Donna, who’s played by Streep and Lily James. I don’t remember this anecdote existing in the movie itself – maybe I was distracted by the Cher concert happening on screen – but I’ll take Garcia’s word for it. There’s just, uh, one little issue – Garcia is 62 years old. Again, Streep is 69. 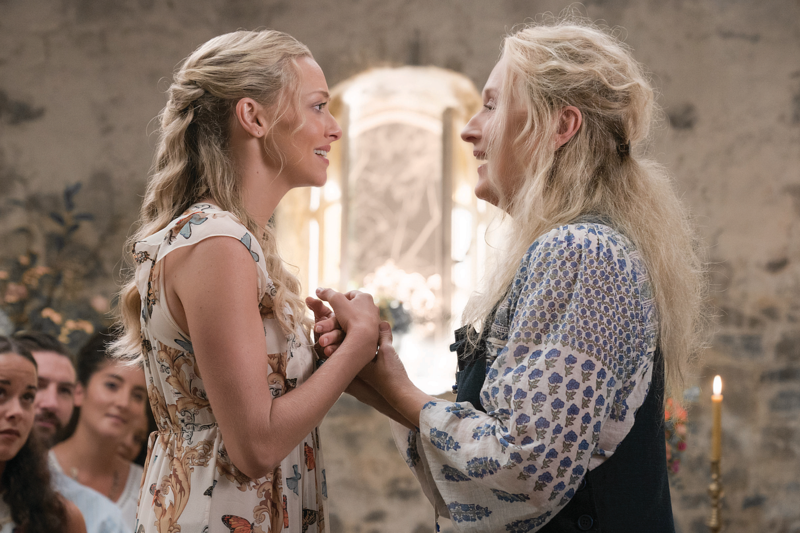 I can’t wait to see Mamma Mia! 3 explain how an unborn man and an infant woman conceived a child. 4. Why Is Donna Dead? How Did She Die? Early in the sequel, a character reveals Streep’s Donna died a year ago. Parker has said he killed off the best part of the first movie because it allowed him to tell the best story. But more importantly, how did she die? Why does the movie never address this beyond a quick passing remark? Was there never a funeral? How does a woman who spends her days dancing on rickety barn rooftops and single-handedly running a hotel just drop dead? I need answers. The first Mamma Mia! opened in 2008, so one would assume it took place then. In that film, Amanda Seyfried’s Sophie is 20 years old. That means the trio of trysts her mother had with possible daddies Bill (Stellan Skarsgard), Sam (Brosnan), and Harry (Colin Firth) would have happened in roughly 1987-88. But when the sequel flashes back to young Donna (Collins) graduating from college and meeting the guys, it’s 1979. Hmm. When Streep’s Donna tells her besties Rosie (Julie Walters) and Tanya (Baranski) about the mystery daddy conundrum, they’re compltely surprised. “Why didn’t you tell us?” Rosie exclaims. So clearly, based on the first movie, Rosie and Tanya not only never met the younger Bill and Harry; they didn’t even know they existed. Too bad the sequel shows young Rosie and Tanya arriving on the island to console Donna after her breakup with Sam. The younger Tanya is the one who encourages James’ Donna to go knock boots with Bill. Oh, and the movie also invents a subplot where young Rosie suddenly falls in love with the younger Sam. Did their older selves magically forget this happened? 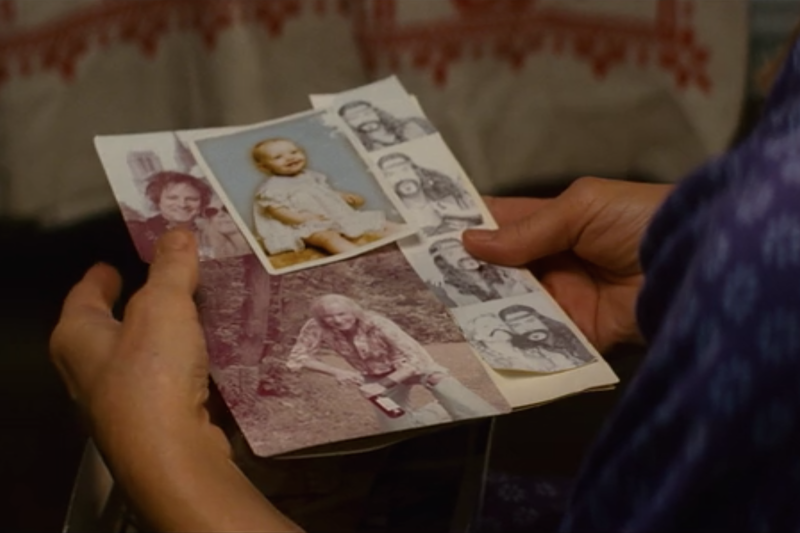 It’s another timeline issue as well – if the flashbacks were set in set in 1979, why are they dressed as era-inappropriate hippies? When did young Sam suddenly chop his hair off and lose his ‘stache? Speaking of hair ... it’s pretty incredible that Donna, Rosie, and Tanya all kept the same exact hairstyles for 40 years. Clearly, there was no other way to tell the audience who Donna’s two youngest best friends were beyond using similar wigs. Sophie spends the entire first hour and change of Mamma Mia! Here We Go Again not knowing she’s pregnant. So how does she find out? During one of the most absurd scene transitions in the movie (there are many! ), James’ Donna pukes into a toilet as the film jumps to Sophie doing the same. “Well, I think we know what that means!” she announced to no one but herself. Um, do we? Maybe you just had some bad fish Soph. Let’s not jump to conclusions! 10. 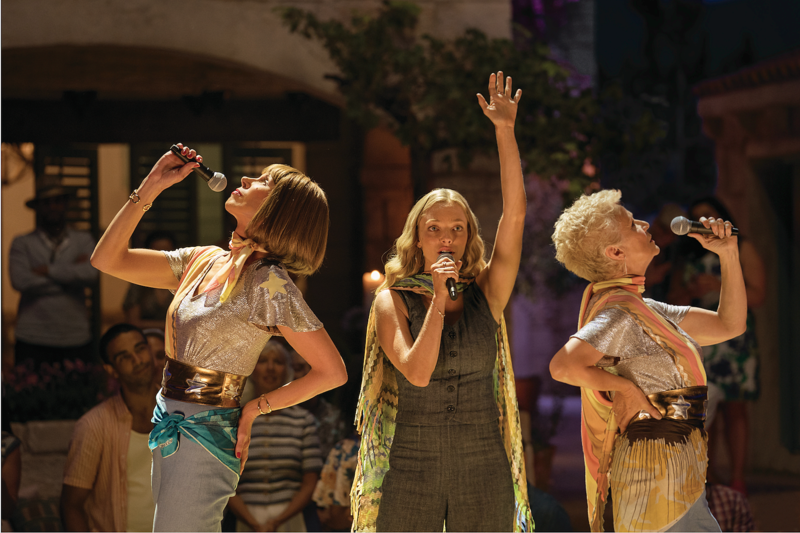 Does ABBA Exist In the Mamma Mia! Universe? This is the most important and confounding question of all. 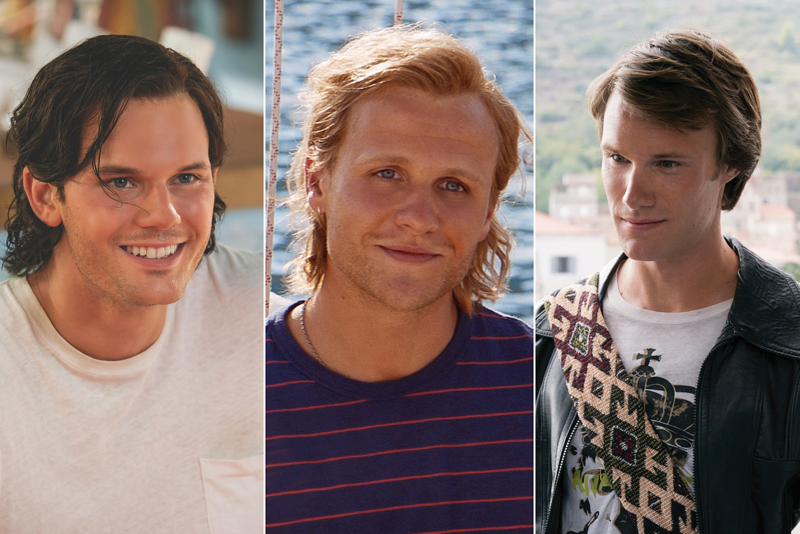 Are the characters of the Mamma Mia! movies aware they’re breaking into ABBA songs? Do these Swedish pop hits not exist? Is there a Greek law that only ABBA jams can be sung when expressing yourself musically? Complicating matters further, Björn Ulvaeus and Benny Andersson of ABBA make cameos in both movies. But here’s the thing: the two 70-something year olds show up in flashback scenes set in 1979. Did the present-day ABBA songwriters travel back in time as their older selves? Like the rest of these movies, it makes no dang sense, but we’re here for it anyway.